The Middle East has collapsed into a state of chaos, conflict, and suffering that was unimaginable and unforeseen just a short time ago. Hardly any experts or institutions predicted the wars and revolutions that have engulfed the region. And those same experts who missed the coming catastrophe continue to struggle for answers as to why it’s all happening. One explanation is that the Muslim world is rising up against U.S. and Western oppression. Just after the attacks of Sept. 11, 2001, I read plenty of publications that said Muslims were so angry with America and the West that many of them wished death upon us. Well, not long after 9/11, Gallup conducted in-depth polling of the 10 most populous Muslim-majority countries, making up 80% of the global Muslim population. Seven percent responded “5” on a scale of 1 to 5 that 9/11 was morally justified and also said they viewed the U.S. unfavorably. I’m not sure that the anti-U.S., anti-West feeling is much of an explanation. Another explanation is that the U.S. destabilized the region when it invaded Iraq and detonated simmering conflicts that had been suppressed by Saddam Hussein. Yet another explanation is that the Middle East is in the midst of a massive religious war — that the driving force behind the conflicts is an ancient Sunni-Shiite battle, with one side simply trying to wipe out the other. Maybe. But does the U.S. invasion of Iraq or religious war explain the Arab Spring uprisings, which have truly destabilized the region? Remember, the Arab Spring began in Tunisia when food vendor Mohammed Bouazizi set himself on fire. Bouazizi didn’t yell, “Death to America” or “U.S. out of Iraq” or “Allahu Akbar.” He cried out, “I just want to work!” And with that he set off a revolution that experts say was aimed at oppressive regimes, political and economic corruption, and rooted in a deep desire for democracy. Of course, the Arab Spring has now turned into an Arab Winter — more like an Arab Nightmare, with Hosni Mubarak removed from Egypt, then replaced by an elected Muslim Brotherhood, which was then overthrown by a military takeover; Colonel Gadhafi was overthrown in Libya, which has now collapsed into tribal chaos; the brutal Syrian civil war; instability in Jordan and Lebanon; and on and on. Add to all of this chaos the brutal and bloody battle between Israel and Hamas. Sure, experts can pick from any number of explanations for all of this unrest. Maybe some of them make sense. But here’s an explanation you don’t hear very often that is likely the root cause of the entire meltdown in the Middle East: no customers. When a society lacks a thriving entrepreneurial sector, it fails to create customers. When a society fails to create customers, it fails to develop economically. When a society fails to develop economically, it fails to create jobs. When a society fails to create jobs, as in countries throughout the Middle East, young men get up each morning with zero hope for a great life, zero hope to get married (you usually can’t marry in Middle Eastern society without a real job), zero dream of a family, zero dignity, and zero self-respect. What millions of young Middle Eastern males wake up to every morning is unimaginable humiliation, indignation, desperation, and a form of dangerous boredom. There are over 100 million young people aged 18 to 29 in the Middle East/North Africa area — meaning there are probably about 50 million young males. Of these, Gallup World Poll data on unemployment — calculated by full-time jobs only: 30+ hours of work per week for an organization providing a regular paycheck — shows only 26% of young Middle Eastern males with a real job. This means the share of that young male population without a full-time job is a deadly 74%. When there are no customers, there is no need for jobs. If you’re wondering where all of this is headed, it’s headed to worse. The situation in the Middle East will continue to deteriorate until there’s real economic growth in the region — until customers appear. When customers start growing, jobs will start growing. When jobs start growing, young Middle Eastern men will get up early in the morning and go to their jobs — not their guns. 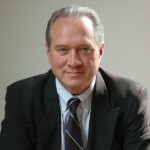 Jim Clifton is the Chairman and Chief Executive Officer of Gallup, the global leader in public opinion research and analytics, with 30 offices in 20 countries and regions. Mr. Clifton is the author of “The Coming Jobs War” and co-author of “Entrepreneurial StrengthsFinder”. Jim serves on several boards and is the Chairman of the Thurgood Marshall College Fund. Follow him on LinkedIn.